Wouter left our lab in February 2015. Click his LinkedIn tag. I studied Biomedical Engineering at the University of Technology Eindhoven, both for my bachelor and masters. I graduated in the bio-informatics group with the development of a model describing spatio-temporal enzyme kinetics (see Publications). Furthermore, I lived in Zürich for 4 months, doing a research internship at Uniklinik Balgrist. Since October 2013 I’m working at the ORL. In my spare time I enjoy going out with friends or listening to and making music. 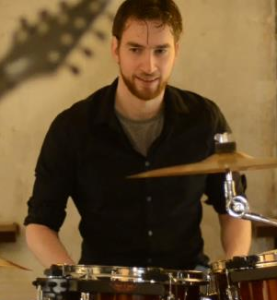 I have been playing the drums since I was 11, both by meself and in bands. Besides that I try to keep in shape by doing fitness and jiujitsu. My function within the ORL is termed Applied Mathematical Software Engineer, which in practice means I develop and implement algorithms and software used for research projects. Furthermore I assist researchers with mathematical and programming related questions. I help in maintaining the computer network at the lab, and you can also contact me for general computer-related problems. Finally, I create animations and images for big research projects and important presentations.